Grabbing her suitcase from the top shelf of her closet, she threw it on the bed and dusted it off. It had been a long time since she’d gone anywhere. She flung clothes from her drawer and started to get dressed, mentally reviewing her hotel options. A look at her checkbook confirmed it would have to be the least expensive one she could find. She added a can of bathroom disinfectant to her pile. She was nearly dressed when a scratching noise at her front door caused her to start. She stopped what she was doing and held still. Silence. Then the sound started again. Tiptoeing across the room, she looked out the peephole. No one was there. Visitors seldom stopped by and certainly not this early in the morning. She backed away and waited. If not for the events of the previous two days, Tara would have just opened the door. Now she stood in the living room, heart pounding, wondering what to do. The scratching began once more, louder this time. And was that the sound of breathing she heard? It couldn’t be Marshall. This subtle approach did not seem to be his style. Was it Denzel? She bit her lip. She had to get out of here. She didn’t have time for delays. She gasped and jumped at the sound of a sudden thump on the door. Her gaze went to her phone, plugged in to charge, all the way across the room. She took a step toward it when the thump came again, this time stronger, as though a large object slammed into the wood. The door, not the sturdiest, shuddered and groaned ominously and she heard the screech of screws pulling loose. Tara ran the few steps to her bedroom and looked out the window. She could probably jump to the ground with minimal damage but suspected that whatever was on her front step would be able to catch her before she ran too far. Regretting her decision not to own a gun, she bolted to her kitchen and grabbed the largest knife she owned. With a final bang, the door burst open. A huge panther stood there, lip turned up in a snarl, a growl coming from low in his throat. Tara clamped her hand over her mouth to stifle a scream, the knife falling to the floor. It would be useless against this beast. The animal approached her, slowly. Tara backed away, heading toward her bedroom. The second door might hold him off a little longer and she would have to take her chances on the ground. “Good kitty,” she whispered, her throat constricted with terror. He wasn’t really a good kitty, though. He continued to advance, the growls becoming louder. Tara knew not to look an attacking animal in the eyes, but she couldn’t help herself and when she did she saw rage and deadly intent. This creature meant to kill her. She was almost at her bedroom door when the animal paused. He crouched and licked his lips, his muscles tensed to leap. A sound like a whip zinged through the air, then the cat gave a yelp and crumpled to the floor. Marshall stood in the doorway, holding the odd weapon she’d previously seen. She nodded, unable to speak. A smell like ozone filled her nostrils and as she watched, the animal on the floor changed into a man. It wasn’t Denzel and she didn’t recognize the figure. Tara stood stock-still, her feet like blocks of ice. Marshall seemed far away and fuzzy and the room began to turn gray. She gulped in air, swallowed twice and the room came back into focus. “Reach in my pocket and get my car keys. I need to put him in the trunk. We don’t want anyone to see this.” Marshall spoke slowly but Tara heard the urgency in his voice. Her feet finally cooperated and she walked to him. She slipped her hand into the tight pocket, the warmth of his body welcome relief to her cold hand. She was aware of the proximity of her fingers to his man parts. Heat traveled from her hand to the rest of her body and she felt her cheeks flush. She fished out the keys and walked out the ruined door to his vehicle. Birds chirped noisily, welcoming the day, but otherwise the parking lot was silent. She popped the trunk and Marshall deposited the body inside. More blood flowed slowly back to her brain. 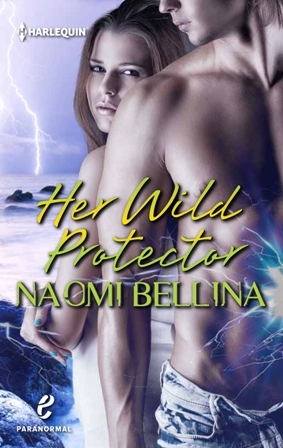 Follow Naomi's board Her Wild Protector on Pinterest.